AVAST Free edition is a good antivirus with best real time protection from all free antivirus software. The latest version of AVAST FREE Antivirus can be downloaded from here. In the previous post we talk about AVAST components, so here we gonna talk about differences from the previous version. The main windows is little bit changed. Now it looks modern. Something new in AVAST 7 that all gonna notice is that have Remote Assistance. With this tool you can connect to another computer with remote connection through your AVAST Antivirus. 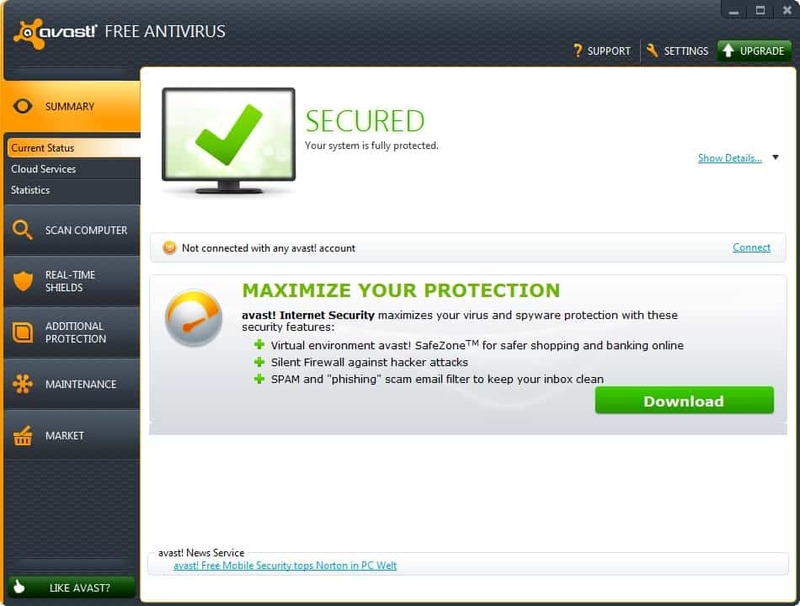 The installation and registration is similar as with the previous versions of AVAST Free antivirus.